2. In progress Add new flow units. 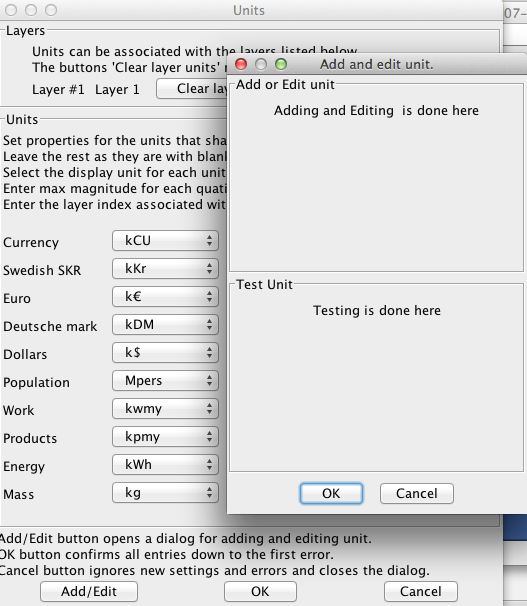 I want the dialog to be programmed with ordinary Java code, not with the interactive GUI builder. I definded the conversion factor as Unit*factor = Base unit. I want to change it to unit = factor*Base unit. This applies to the dialog Add and edit unit in the first place but also to the internal definition. This may need more work and testing to make sure that the changes are done in all places where unit conversion is used. Affected code: Unit.java, Units.java, Variable.java, Price.java, Productivity.java and maybe some more. Factor.java is a calculation factor (not for unit conversion) used in Account.java and Signal.java. 3. Done Make bank icon to show up in bank symbol. The bank icon is only visible when running the program from the NetBeans IDE, not from the generated jar file.Bank symbol from NetBeans IDE (left) Bank symbol from jar-file (right). 4. The name of connectors in submodels do not change when changing the flow names. 5. Add a shortcut cmd+s (Mac) or ctrl+s (Windows) to save a model. 6. 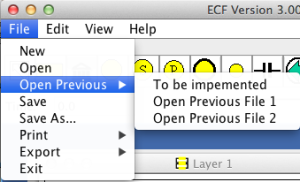 Warn if model has been changed before exiting the ECF program. 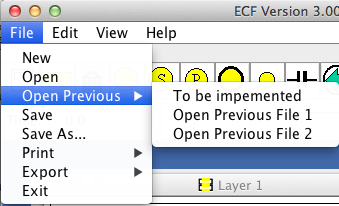 Show a dialog for saving och not. 7. 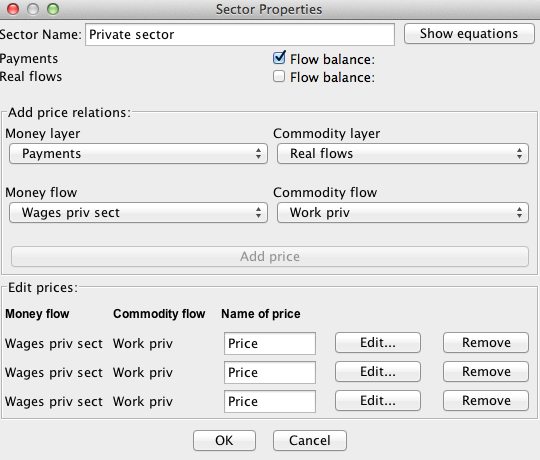 Adding a price relation gives too many rows in the dialog. Only one should appear. 8. Add one or more resizable diagrams on the side topp the main window. The diagrams show a value plot vs. time or a value vs. another value. The values are selected from flows or model parameters of the model diagrams. They could be dragged or selected and then attached to one of the axis. 9. Add dynamic behavior to sectors. The output flows for the next timestep is set according to a algoritm or rule from the input flows. A more advanced approach includes the derivative with tespect to time of the output flows. 10. Make a new public homepage base on either WordPress or Joomla. I did not succed to add links to XML files in WordPress, maybe it is possible in Joomla. The first page should be in english, but swedish should also be included in a second step. 11. Replace my homemade XML by SAX or DOM XML. The current jar-file can be downloaded from here. Try it and see if you get the idea of the program. Instructions are in swedish on the rest of this site but the pictures my help you. There is a movie on http://media.wp.ecf-teori.se/2014/04/Lägg-till-sektor.mov. Google translate https://translate.google.com also gives you a fairly good translation (except Användarhandledning = Users manual, Kretslopp = Circular Flows). As you see, I may also need some help with WordPress (this site). More will eventually come.